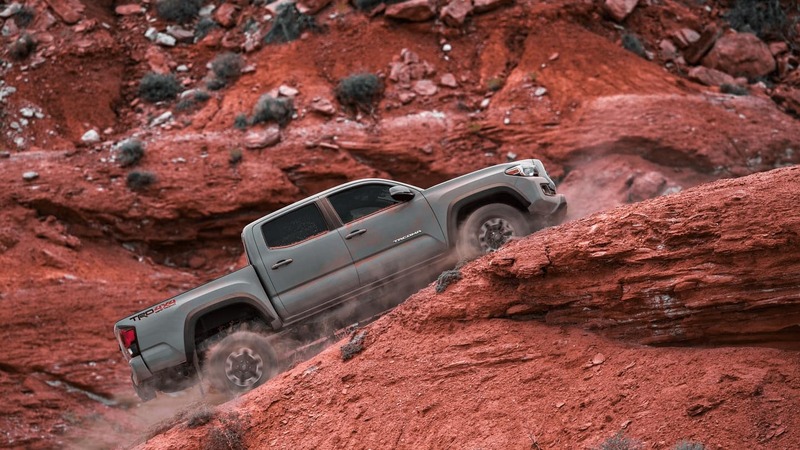 The Tacoma TRD Pro includes off-road features like FOX Internal Bypass Shocks that you won’t find in the Colorado. You can even equip it with Tacoma performance parts. 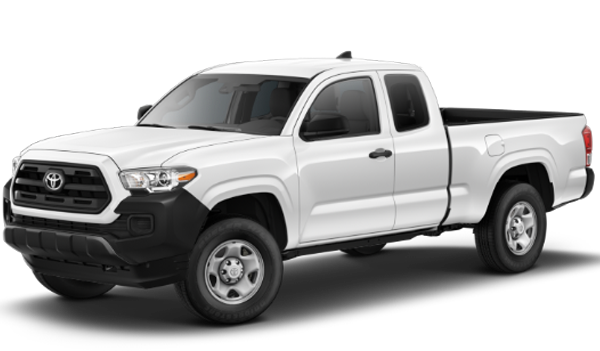 All Tacoma models come standard with the Toyota Safety Sense™ P (TSS-P) package. Even the Tacoma SR base trim has premium features like the LED brake lights. TRD-Tuned FOX Internal Bypass Shocks – These shocks are from FOX, one of the most trusted names in off-road performance. TRD Pro Desert Air Intake – Situated above the dust kicked up by the truck, this intake provides the engine with clean air. 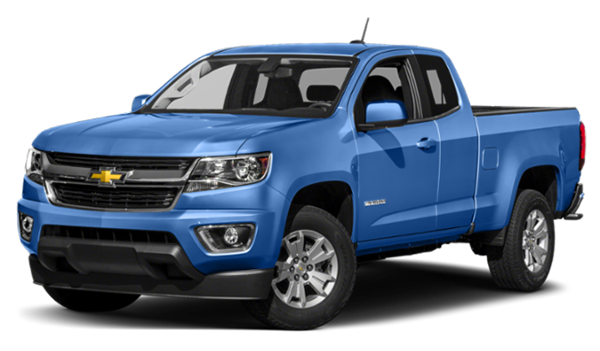 The Colorado can be equipped with an optional performance air intake, but it’ll cost you extra. TRD Pro Skid Plate – Protecting the front end of the vehicle, this skid plate ensures your vehicle is unharmed from rock strikes and other debris. As you can see, the Chevy Colorado off-road model doesn’t quite match up. In fact, the Tacoma even offers more off-road features than the Ford Ranger. For 2019, all Tacoma trim levels come standard with the Toyota Safety Sense™ P (TSS-P) system. It includes active safety features like a Pre-Collision System, Lane Departure Alert, Dynamic Radar Cruise Control, and Automatic High Beams. When you’re travelling the streets of North Miami, the extra confidence those features provide will come in handy. While the Chevy Colorado can be had with a Lane Departure Warning and Forward Collision Alert, you’ll have to pay more to add them. 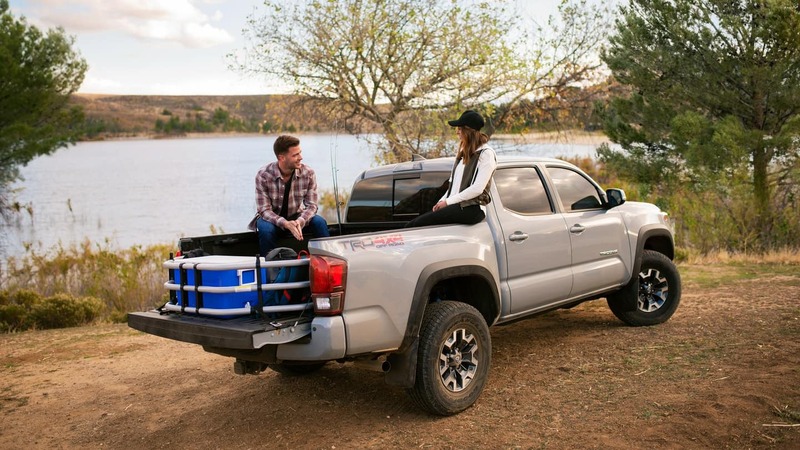 What’s the best way to experience the Tacoma advantage? Head over to Toyota of North Miami and take it for a test drive. We offer a great selection of crossovers, SUVs, and trucks to help you find the ideal vehicle for weekend errands and off-roading alike.